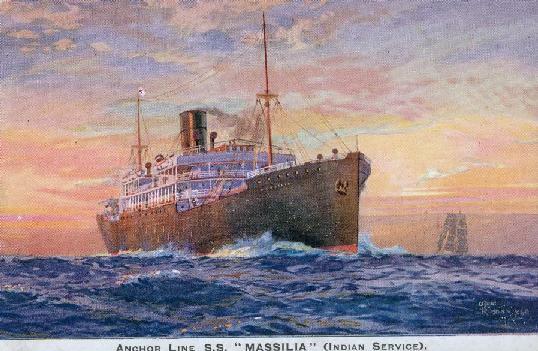 The French passenger liner S. S. Massilia is best remembered by historians as the ship that carried an impoverished, lice-infested manifest of passengers from Europe who were infected with the dreaded typhoid fever. After the disease broke out on the Lower East Side in the winter of 1892, doctors traced its source to third class Russian-Jewish immigrants who had arrived that winter on the Massilia. The Health Department rounded up all of the passengers and anyone who had contact with them and quarantined them on North Brother Island, a 16-acre island that assured they would be separated from the city-at-large. Unfortunately, people in first and second class cabins, who were not infected, and many other healthy New Yorkers were caught up in the mesh and consequently infected by typhus and other infectious diseases because of the close quarters and unsanitary living conditions they had on the island. Medical experts knew very little about disease in those days and it was not known that typhoid was carried by lice. Once the exposed people were forced to live in confined quarters with the others, in conditions that created a perfect breeding ground for the lice to multiply, the disease ran ramped. The Massilia was built in Dundee in 1890 for the Fabre Line of Marseilles. She was not a large ship, measuring 340 feet in length. She had a single funnel, two masts, and could reach a speed of 11 knots. The vessel offered accommodation for up to 1,250 passengers in first, second and third classes. The ship was sold to Italian owners in 1906, and then reverted to French ownership again in 1908, all the time steaming on the same route between Marseilles and New York. The Massilia was scrapped in Italy after that. The date was either 1910 or 1917.